Whether our missions are focused on land conservation, urban agriculture, food justice, land access, or revitalization – and a few of us do them all – LAND is the common thread that ties us together in our work. Mount Grace Land Conservation Trust (Mount Grace) conserves significant farms, woodlands, and wild areas in North Central and Western Massachusetts. Having protected over 31,000 acres of land in the past 30 years, Mount Grace is recognized nationally for innovative projects and programs that conserve entire landscapes and watersheds, protect whole farms, support local food systems, and engage whole communities in making decisions about local land conservation priorities. Mount Grace founded MassLIFT as a local pilot program with four Commonwealth Corps members in 2008 and scaled it to support 20 service site partners with 36 AmeriCorps members across Massachusetts in 2016. Mount Grace is now spinning off MassLIFT and founding TerraCorps, Inc. as an independent non-profit. Berkshire Natural Resources Council‘s mission is “To protect and preserve the natural beauty and ecological integrity of the Berkshires for public benefit and enjoyment.” BNRC has been protecting land in Berkshire County for 50 years. BNRC own nearly 11,000 acres in fee, containing over 50 miles of maintained trails and is responsible for protecting an additional 11,000 acres of land in Berkshire County through perpetual Conservation Restrictions with private land owners. In addition, BNRC recently launched its High Road initiative which envisions a county-wide trail network connecting towns to nature and ecology, for the benefit of residents and visitors. Buzzards Bay Coalition (BBC) is dedicated to the restoration, protection, and sustainable use and enjoyment of Buzzards Bay and its watershed. The Coalition works to improve the health of the Bay ecosystem for all through education, conservation, research, and advocacy. The Watershed Protection Department within BBC advances land conservation, land stewardship and habitat restoration activities throughout the watershed of Buzzards Bay. BBC holds a total of 38 conservation easements (2,000 acres) and owns and operates a series of 5 publicly accessible river and bay reserves totaling about 400 acres. The East Quabbin Land Trust works to foster the sustainable use of our natural and historic resources for the benefit of all generations through the conservation and stewardship of the farmlands, woodlands and waters in our region of Massachusetts. We envision a regional community that continues to care for its natural environment and supports a sustainable local economy, ensuring a high quality of life for generations to come. The work of the East Quabbin Land Trust is focused in central Massachusetts, an area with a diverse landscape of rivers, villages, rolling farmland, forested highlands, wetlands and working communities. The small staff and dedicated volunteers at the East Quabbin Land Trust are mission-driven, always striving to engage more people of all ages and abilities in the care and conservation of our lands. We take risks, we try new things, and we have fun doing this work as we make lasting changes. Groundwork Lawrence (GWL) is a 501(c)3 nonprofit organization that has been making change happen in Massachusetts since 1999. Through its environmental and open space improvements, fresh food access programs, youth and adult education and employment initiatives, and community programming and events, GWL creates the building blocks of a healthy community, and empowers Lawrence residents to improve their quality of life. Groundwork Somerville strives to bring about the sustained regeneration, improvement and management of the physical environment through the development of community-based partnerships which empower people, businesses and organizations to promote environmental, economic and social well-being. Groundwork has been working to ensure Somerville residents have opportunities to make positive change in our community since 2000. Growing Places works with communities in North Central Massachusetts to ensure individuals and families of all income levels have the opportunity to grow, eat, sell and buy healthy and safe food. We believe all people have the right to enjoy sustainable, thriving and resilient communities. Hilltown Land Trust serves thirteen rural towns in western Massachusetts (Ashfield, Chester, Chesterfield, Conway, Cummington, Goshen, Huntington, Middlefield, Plainfield, Westhampton, Williamsburg, Windsor, and Worthington). Hilltown Land Trust’s mission is to protect land and promote ecological diversity and health, respectful land stewardship, historic character and natural beauty in the hilltowns of western Massachusetts. 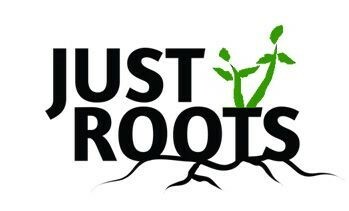 Just Roots is a nonprofit community organization located in Greenfield, Massachusetts. We began in 2008 as a grassroots group of concerned citizens looking to promote vegetable gardening and grow food on municipal land. Our goal is to increase knowledge about and demand for local food in Franklin County. The Greenfield Community Farm is the centerpiece of our work. Our mission is to “increasing access to healthy, local food by connecting people, land, resources and know-how”, and we work to uphold the three pillars designated by our community: food, education and community. Since 1970, Kestrel Land Trust has conserved and cared for forests, farms, and riverways in the Pioneer Valley of Western Massachusetts, while nurturing an enduring love of the land. Kestrel has conserved more than 25,000 acres throughout Amherst, Northampton, and their surrounding communities, and we are responsible for stewarding 3,000 acres of protected lands. Throughout our history, we have partnered with landowners, governmental agencies, citizen groups, and other organizations to protect farmland, woodlands, wildlife habitat, water resources, historic landscapes, and scenic vistas throughout the Valley. Broad Meadow Brook Conservation Center and Wildlife Sanctuary (BMB) in Worcester serves as Mass Audubon’s regional hub for the Central Sanctuaries in Worcester County, and Wachusett Meadow (WM) Wildlife Sanctuary in Princeton serves northern Worcester County. Broad Meadow Brook is New England’s largest ‘in-city’ wildlife sanctuary, and WM is Mass Audubon’s largest staffed sanctuary in central Massachusetts. Donated by the Crocker Family in 1956, WM is a former farmstead that offers spectacular scenery and supports abundant wildlife throughout woodlands, wetlands, and meadows. At both BMB and WM, our goal is to build an environmentally healthy and literate community by taking an active, leadership role in resource management, advocacy, and conservation education at all levels. Admission to BMB is free for residents of Worcester, and admission to WM is free for residents of Princeton. Massachusetts Audubon- Lincoln protects 38,000 acres of land throughout Massachusetts, saving birds and other wildlife, and making nature accessible to all. As Massachusetts’ largest nature conservation nonprofit, we welcome more than a half million visitors a year to our wildlife sanctuaries and 20 nature centers. Mass Audubon is a nationally recognized environmental education leader, offering thousands of camp, school, and adult programs that get over 225,000 kids and adults outdoors every year. With more than 125,000 members and supporters, we advocate on Beacon Hill and beyond, and conduct conservation research to preserve the natural heritage of our beautiful state for today’s and future generations. The mission of the Mystic River Watershed Association (MyRWA) is to protect and restore the Mystic River, its tributaries, and watershed lands for the benefit of present and future generations. Covering 76 square miles, the Mystic River Watershed is a living system full of fish and wildlife—including the largest river herring migration in the Commonwealth. The watershed includes thousands of acres of open space and parks along the river that offer recreational opportunities to the 700,000 community members in 22 cities and towns in greater Boston. The watershed starts in Reading and flows into Boston Harbor. It includes 44 lakes and ponds and dozens of tributaries. New Entry Sustainable Farming Project (New Entry) is a local, regional, and national leader in the growing food systems movement built around the concepts of sustainable farming, land conservation, access to locally grown food, and environmental stewardship. Our mission is to improve local and regional food systems by training the next generation of farmers to produce food that is sustainable and nutritious. New Entry envisions vibrant, healthy communities where all residents have access to quality, healthy, fresh and locally grown food and where farmland is actively stewarded to build soil health and provide ecological benefits. 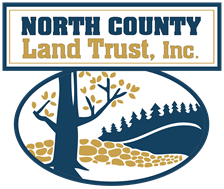 North County Land Trust is a regional Land Trust founded in 1992 to serve the conservation needs of 14 communities in north central Massachusetts. Our mission is to conserve the farms, forests and landscapes that define the character of our region. We assist private landowners with land preservation strategies; we partner with cities, towns and other non-profit organizations to preserve valuable land in a way that benefits the long-term health of our communities, which can include the need to preserve farmland for local agriculture as well as a call for city parks where local families can gather. We consider it part of our charge to educate and respond to the needs of all the children and adults who make up the socio-economically diverse communities we serve. Southeastern Massachusetts Pine Barrens Alliance (SEMPBA) incorporated in 2013 to save the globally rare habitats of the Southeastern Massachusetts Coastal Pine Barrens Eco-region. Believing that it will take everyone working together to preserve the biodiversity of the eco–region, SEMPBA spearheaded and serves as the coordinator of the Southeastern Massachusetts Pine Barrens Partnership, part of the Regional Conservation Partnership Network covering much of New England. SEMPBA’s community engagement programs include nature education programs at SEMPBA’s Hauthaway Nature Center in Plymouth, the development of citizen science projects, public school collaborations, habitat restoration initiatives, and a media campaign to raise awareness about the special nature of the region with the goal of making “Pine Barrens” a household term. 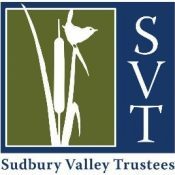 Sudbury Valley Trustees (SVT) is a regional land trust that conserves land and protects wildlife habitat in the Concord, Assabet, and Sudbury river basin for the benefit of present and future generations. We care for some of this region’s most important forests, wetlands, and grasslands—natural areas that support wildlife habitat, working farms, and recreational trails. As of 2016, SVT cares for more than 4300 acres on 84 reservations and 70 Conservation Restrictions and maintains a 55-mile trail network. We collaborate with numerous partner organizations, and our work is supported by 2900 members and 200 volunteers. 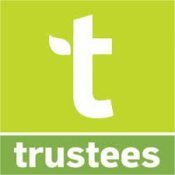 The Trustees preserve, for public use and enjoyment, properties of exceptional scenic, historic, and ecological value in Massachusetts. We enjoy and care for more than 100 special places – nearly 25,000 acres – all around Massachusetts. And we are actively building an extended family of friends and neighbors across the state that can help in their different ways. The Trustees Northwest Region is located in the hilltowns and Northern Quabbin region of Western Massachusetts. We steward and program 4 properties between Hampshire, Berkshire and Worcester Counties. Combined, these properties welcome over 20,000 people annually interested in history, ecology, art and outdoor recreation. Our leadership team directs our properties’ stewardship and engagement strategies in order to get more people outside and invested in the crucial role history and nature play in our local heritage and landscape’s ecological health. The Wareham Land Trust’s mission is to conserve Wareham’s open space and natural resources, to unite citizens in a common goal of conservation and responsible land use, and to educate the public about the environmental and economic benefits of protecting open space and promoting sustainable development. 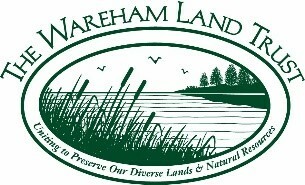 The Wareham Land Trust is guided by a group of hard-working volunteer board members and supported by individuals and organizations throughout Wareham and the neighboring communities. 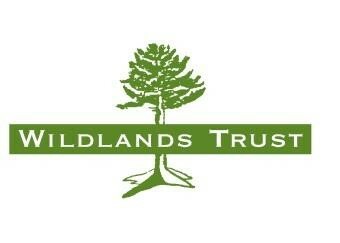 The Wildlands Trust works throughout southeastern Massachusetts to conserve and permanently protect native habitats, farmland, and lands of high scenic and ecological value in order to keep our communities healthy and our residents connected to the natural world. The Wildlands Trust will work to sustain the rural character and quality of life enjoyed by the residents of southeastern Massachusetts by protecting high quality conservation and agricultural lands. We envision a future where open land is abundant, our water is clean, and forests, farms, wetlands, fields, ponds, and coastal areas are commonplace sightings on our landscape. Find out more about becoming a partner and hosting TerraCorps members for the upcoming program year!